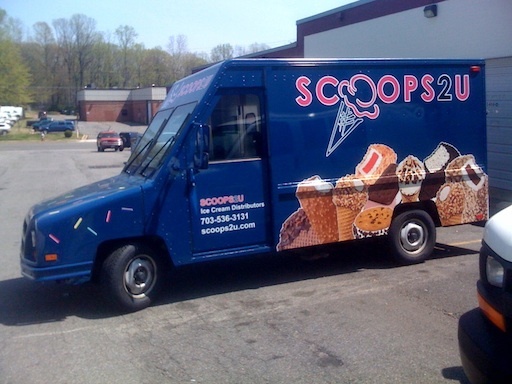 The owners of Scoops2u got in touch with me to let us know about their new ice cream truck, affectionately named, Chipwich! Launching in 3 to 4 weeks, Scoops2u offers fresh hand-made chipwiches, baking the cookies in the morning, using a big scoop of Haagen Dazs ice cream and assembling cookie sandwiches for customers to order. Fans can mix and match flavors and cookies. They’ll start serving just in time for DC’s summer weather! « Food Truck Fiesta Android App Released!